One of the coolest tactical rifles made today! 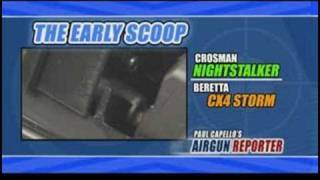 The Crosman NightStalker is a whole new ballgame, because it has blowback action. It's a revolver but functions as a semi-auto. Not just another pretty face, the sci-fi design of the ergonomic synthetic stock is a reflection of the technology and thought that went into making this rifle. Crosman's unique Mohawk sighting system includes a rear aperture sight with two hole sizes, and you can quickly switch from one to the other by flipping the sight. No tools required! 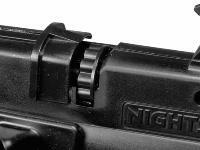 Plus, the front sight is also adjustable! You'll acquire targets much quicker. If you like scopes, red dots or lasers, you can easily mount one on the 11mm dovetails. 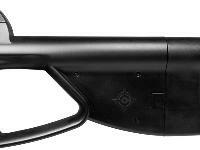 Powered by an AirSource CO2 cartridge, the rifle will give you up to 350 shots. 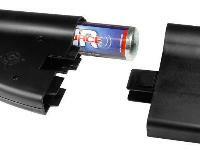 Includes 4 rotary clips and an AirSource tank. 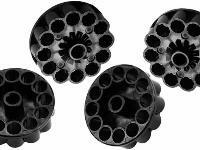 Click on the AMMO link to see our recommended pellets. Find additional AirSource CO2 cartridges, targets and other shooting gear by clicking on our ACCESSORIES link. What others should know: O rigs are weak. Can not locate a store that sell's the Co2 4oz. purchased one for my grandson, and it broke after 1 co2 cartrege. Called and they replaced it with another one, and are having the same problems. 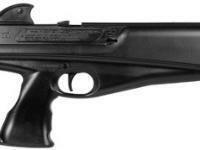 do not buy this air rifle. 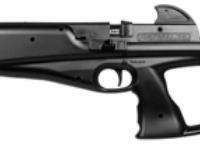 This gun uses 88-gram CO2 tanks available from Pyramyd Air. Put 4-5 drops of Crosman Pellgunoil on the tip of each 88-gram CO2 cartridge before inserting it into the gun. Insert the cartridge with the Pellgunoil on the tip & start dry-firing the gun. 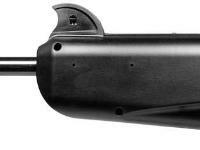 Each CO2 blast pushes the Pellgunoil into the gun & lubricates it properly. Thereafter, put 4-5 drops of Pellgunoil on the tip of every new 88-gram CO2 cartridge. Things I would have changed: never did like peep sights, add shoulder strap capability, add checkering or some grip enhancement, lower stock to make drop to comb an inch or so more. What others should know: Mine likes premier HPs( not from wal mart ), all my guns do. Don't waste co2 get good pellets. I've had this over a year. Shoots fine, lasts a long time if you take care. Cylinder sticking is probably caused by a cheep pellet that fell out inside the receiver. Push the breech fully open for cylinder installlation and removal. To close breech, use forefinger and thumb. To load, rotate cylinder until it seats. Needs see thru mounts for a scope to get over the sights. 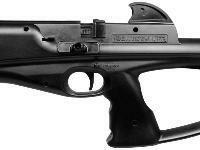 Things I would have changed: peep sights are a little unfriendly but still usable. You will need high scope mount when mounting a scope so you can see over the stock front sight post.